Nestled within the serene landscape of the Texas Hill Country is a decadent dining experience that will make you feel like you’re deep in the heart of Tuscany — Trattoria Lisina is this perfect destination for a romantic evening out or a weekend lunch date! 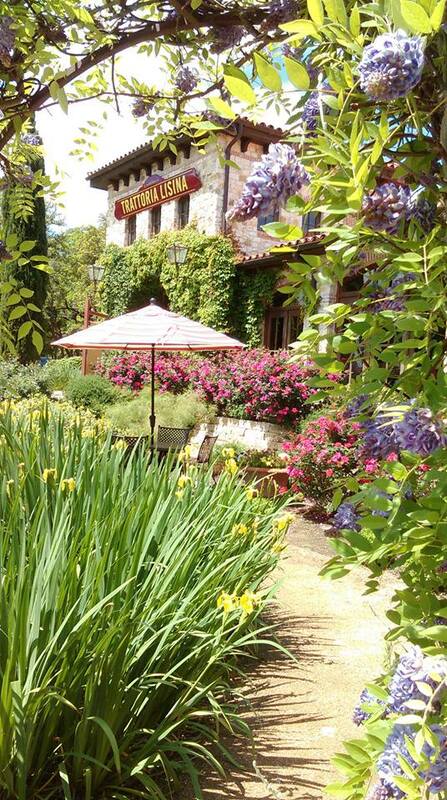 Located on FM 150 just a mile from Driftwood, and a scenic 15-minute drive from Wimberley, Trattoria Lisina is owned and operated by the Mandola family and offers an extensive menu with a tantalizing array of meals to choose from. Some of their options include mouthwatering appetizers, a variety of salads and pizzas, and house-made pasta dishes with rich sauces and accompaniments to please any appetite. Also on the menu are elaborate dishes with veal, lamb, duck, Hereford rib eye, and of course, seafood. Trattoria Lisina prepares a homemade ravioli daily, and also offers a gluten sensitive menu. They have an extensive wine menu that features fabulous Italian wines to pair with their dishes. If, after all that, you have room for dessert, many tempting options await such as “Torta Cioccolata con Caramella” (Sicilian sea salted caramel layered between rich chocolate cake), Tiramisu, and homemade gelato – just to name a few. In addition, several gourmet coffees are listed on the menu to accompany your sweet dessert. 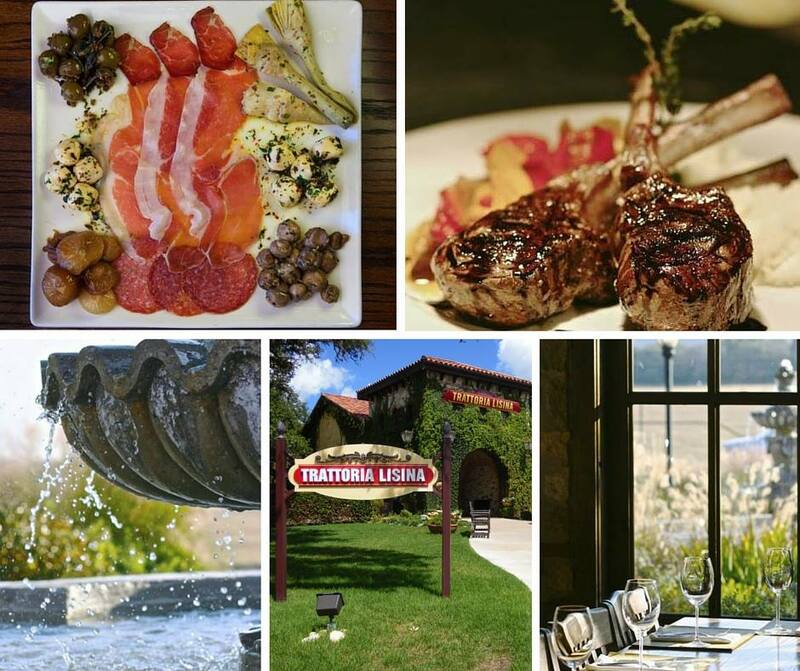 Trattoria Lisina is open on Sundays from 11am – 9pm, and Tuesday – Thursdays from 4:00 pm – 9:00 pm. On Friday and Saturdays they are open from 11:00 am – 10:00 pm. They are closed on Mondays. To a restorative day spent in the Texas Hill Country with beautiful food and wines — Salute! 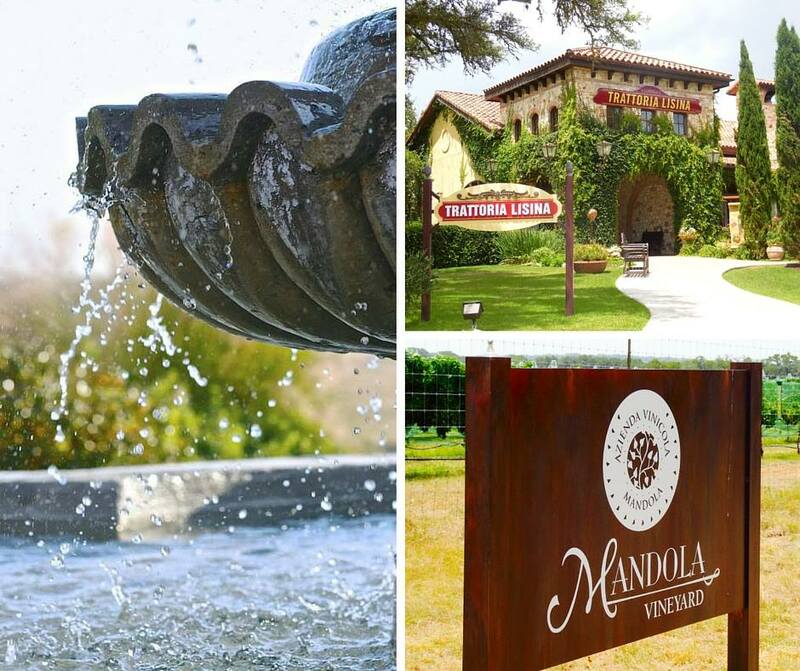 Romantic restaurant located on the Mandola Winery – only 15 miles from Downtown Wimberley. Fresh made Tuscan Italian, seafood and pastas in the beautiful Texas Hill Country.